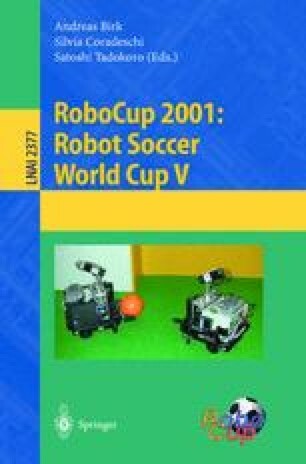 The following paper describes the ChaMeleons-01 Robocup 2001 simulation league team. Development was concentrated in two main areas: the design and implementation of an action-selection architecture and the development of the online coach. The architecture was designed in such a way to support the integration of advice from an external agent. Currently, the only external agent the ChaMeleons-01 support is an online coach offering advice using the standard coach language. The online coach offers advice in the form of passing rules, marking assignments, and formation information. RoboCup Federation, http://sserver.sourceforge.net/. Soccer Server Manual, 2001.